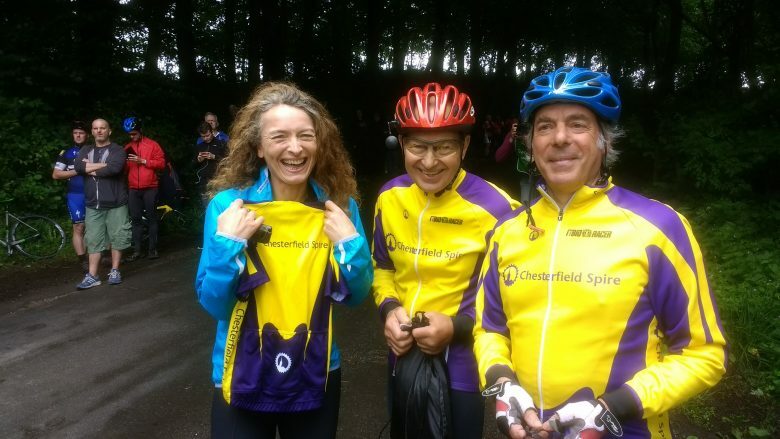 We are currently using GearClub for the club kit as the pricing is sensible and the quality is good. There are decent discounts for bulk orders of 10+ in a mix of 2 item types, any size/gender, (to which we can then add other types at the reduced rate). Please contact our Kit Organiser for further information. 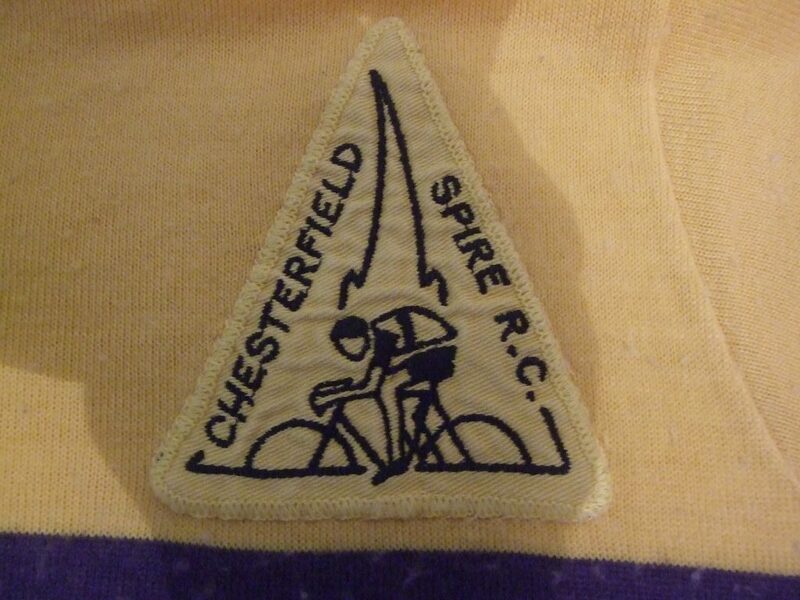 When Chesterfield Cycling and Athletics Club merged with Spire Cycling Club to form Chesterfield Spire Road Cycling Club in 1968, they needed new colours to replace the old red, white and blue of CC&AC and the red, black & green of Spire CC. 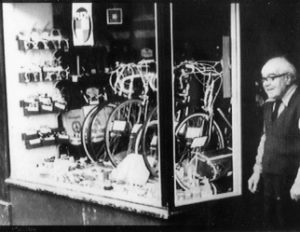 Local bike shop proprietor, George Curtoise, knew a contact in France who had a consignment of jerseys for sale at a very reasonable price. 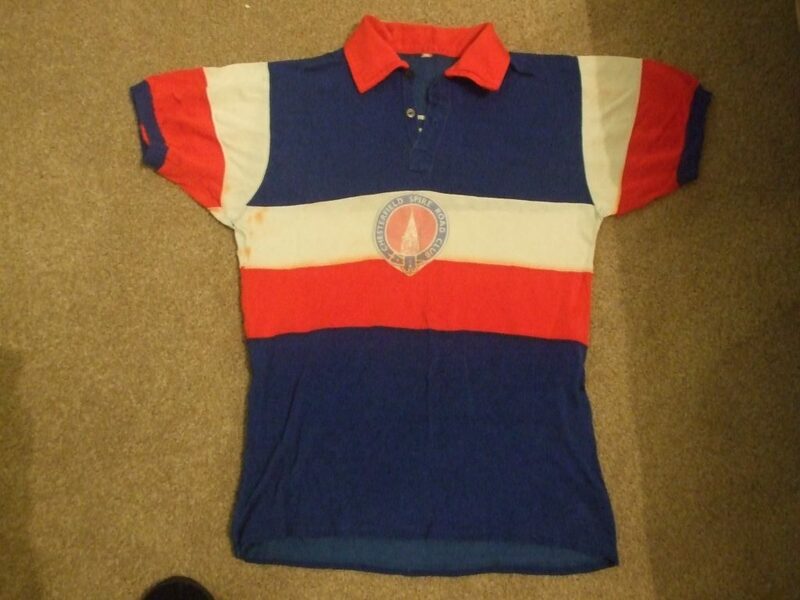 These were eagerly snapped up by the club. 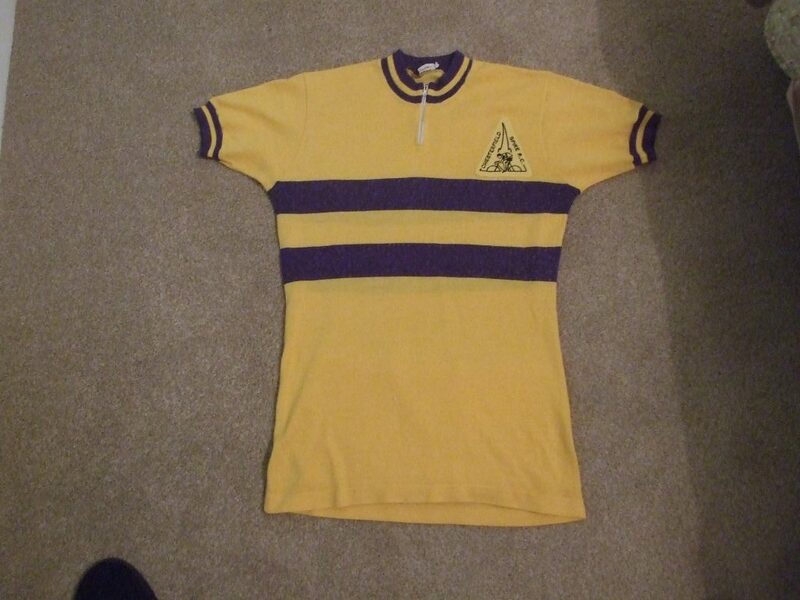 The yellow shirts with purple band duly arrived and all members had to do was to embroider the club name on the back. 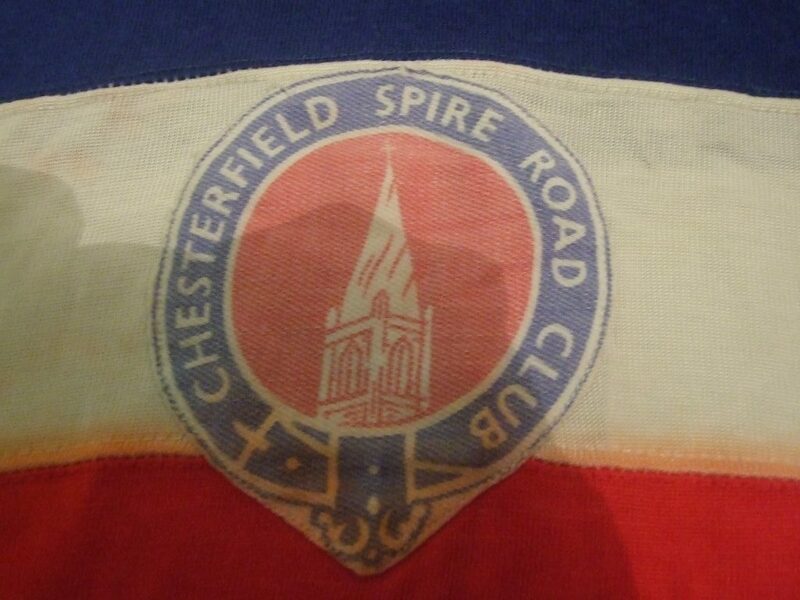 The colours have been incorporated in various designs since that time..